Quoizel Lighting Signature Collection Portable table lamp accommodates two 100-Watt A21 medium lamps. 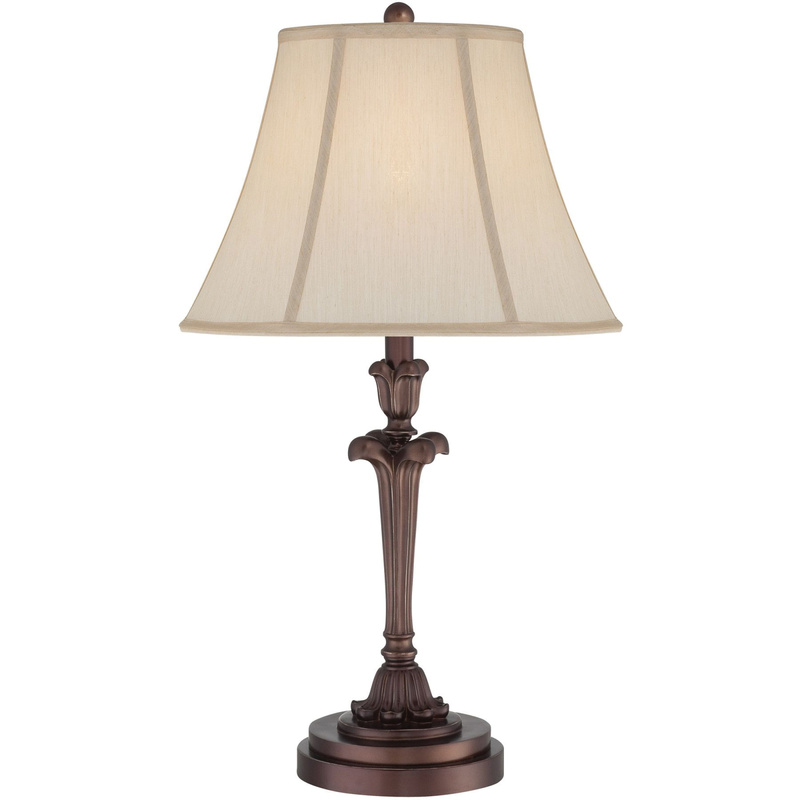 Lamp in palladian bronze finish, features resin construction. It has cream softback fabric shade. It has a dimension of 15-Inch x 26-Inch x 15-Inch. Table lamp is cUL certified.